You have never seen anything before quite like "KA". 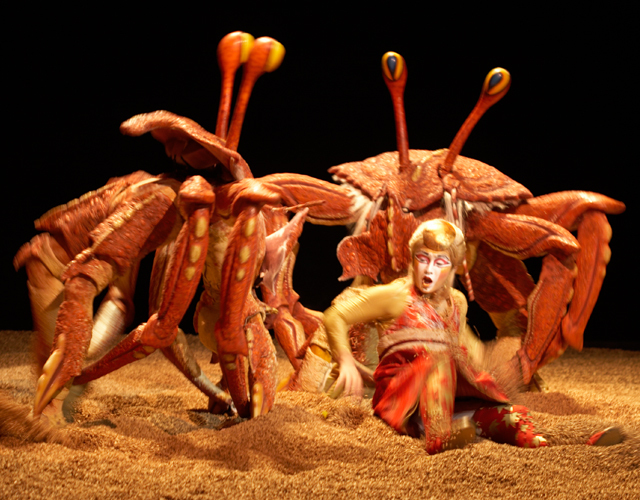 Cirque du Soleil is highly regarded as one of the most famous performing troupes in the world. 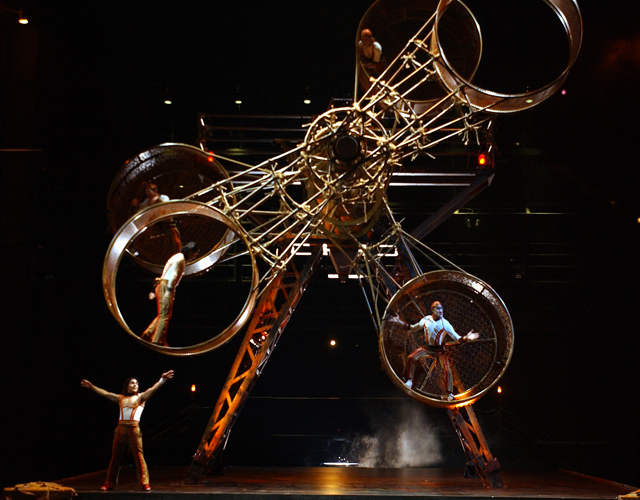 With their distinctive style and ability to make the most unbelievable acts a reality, any show by Cirque du Soleil is worth seeing. 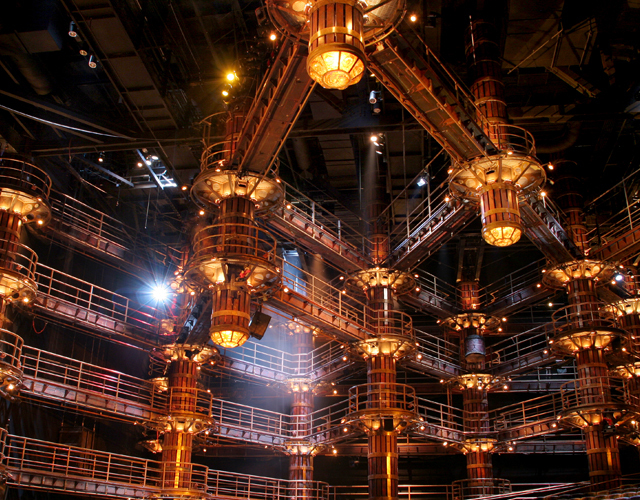 However, "KA" is a very special show by Cirque du Soleil, which moves from the "Cirque" aspect of the show into a more theatrical performance the entire family will enjoy! 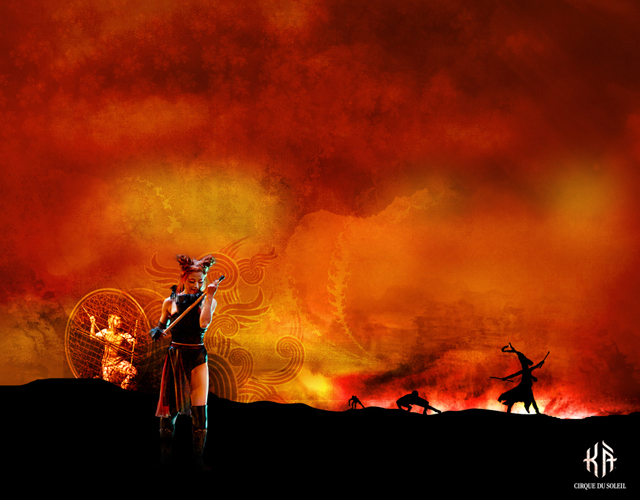 "KA", which is pronounced Caw, is filled with acrobatics, storytelling, and martial arts performances. You will see some of the top martial art techniques, which are practiced worldwide when you see this show. However, that is not all. These elements, for the most part, are standard fare in a Cirque du Soleil show. 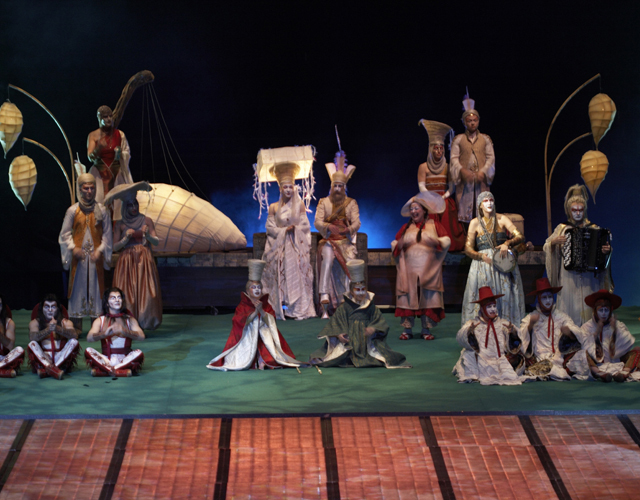 What makes "KA" different is the innovative puppetry and multimedia, which is used during the show. All of these elements work together, to tell the audience a story. The story of show "KA" begins with two twins. These twins have a shared destiny as many twins do. So, to fulfill this, they must head out on and arduous journey. It is on this journey that the twins meet the cast and characters of "KA". Some of these characters are good and some of them are bad. With every turn, on this difficult journey, a new surprise as well as danger is present increasing the intensity and drama of this performance. "KA" Las Vegas is an extremely visual performance. 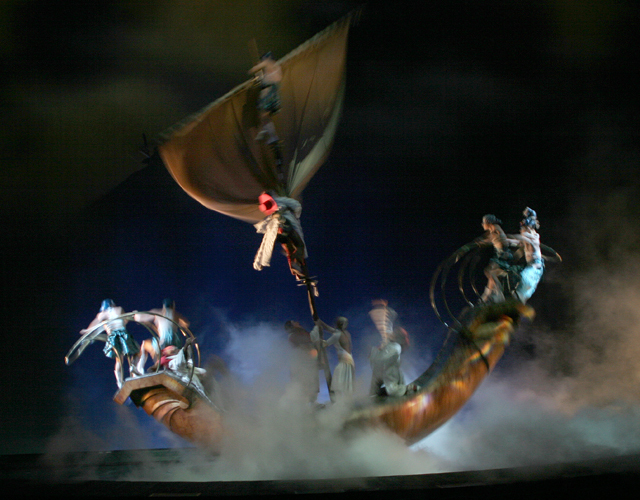 Like most of Cirque du Soleil’s performances, the story is told more towards the actions of the performances as opposed to speech. The dazzling costumes and spectacle of the performance are part of what makes this stunning show so successful! 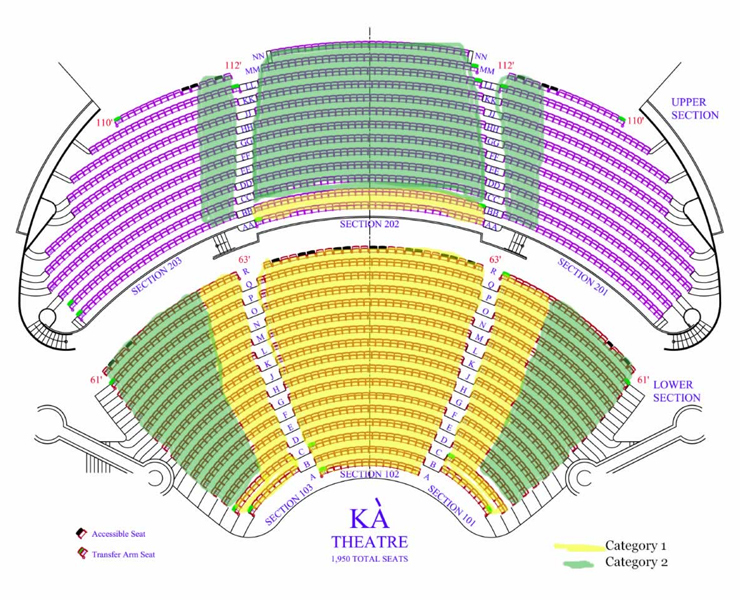 There are three different type of seating; Orchestra seating , Front Balcony seating , Upper Balcony seating can be reserved for the ages five and up. When you come to Las Vegas, visitors of all ages will not be able to get enough of KA and their magnificent Venetian show. Great special effects acrobatics Thats it ! We have attended other Cirque shows and this one is the Finest. The theatre is so well built that I don't believe there is such a thing as a bad seat. Extremely sorry about the unfortunate accident. I thought the show was fabulous. Although towards the end, the plot got a little weak. 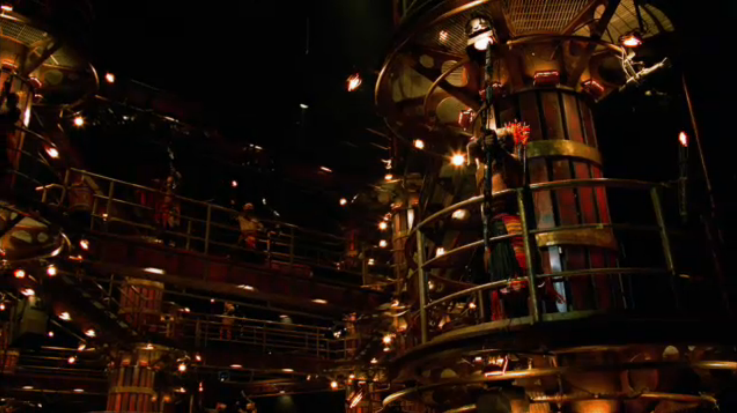 That can be forgiven due to the incredible staging and set design, which deserves an A+. Those moving platforms, which must have cost millions were incredibly creative. And we haven't even gotten to the well expected acrobatics. I loved the flying love scene. I thought the show was worth every penny.... I am pretty tight with my money!